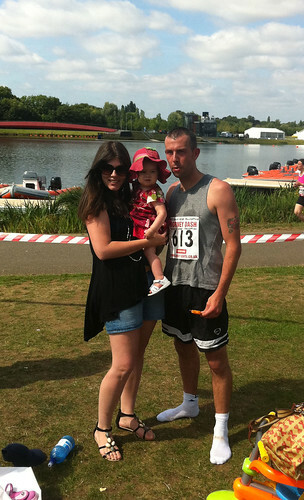 A big well done and thank you to Mark Norton who completed a 10K fun around Dorney Lake on the 30th July. Despite doctors warning him of the damage to his back, Mark raised an amazing £500 for Jessica Rose Foundation, and completed the run is just 44mins! Thank you for wanting to help our little Girl!!! A little note from Sam…. Well, it happened! Our family fun day was a massive success. From the kids crafts to all the fantastic live music. The event team of my dearest friends and most importantly Jo and Steve from the Squirrel Pub. Each and everyone of you who took part did our little girl, Jessica Rose proud. The floods of people who turned up was so overwhelming and helped us to reach our goal! We raised an amazing £14,000! As a mother I feel very helpless, Jess knows I will always be there to wipe away her tears and give her the biggest cuddles but her illness is out of my hands. All this money you’ve helped to raise however, has now given her the chance she deserves and at last I feel like I’m helping her. Since May the Jessica Rose Foundation has raised an astonishing £34,000 and money is still coming in. This is going to help us get Jessica across to the states for life saving treatment, any rehabilliation she requires and future treatments (if required). I would also like to think I will one day be able to help other families in simular situations to ours. 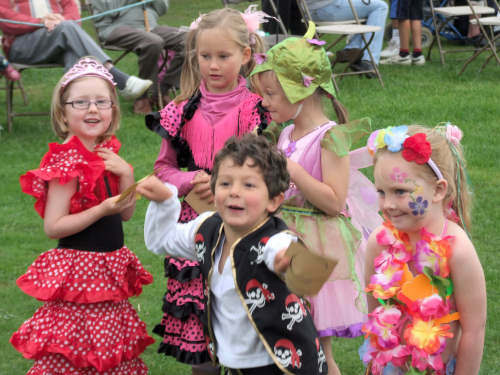 CHILDREN can enter a Fancy Dress Competition on Sunday (24th) ! Jessica’s mum Samantha will be our star judge throughout the day and the winner will be announced at 5pm! 2nd Prize for the girls – Sarah to dig out of the Hasbro goodies. Good luck, lets get dressing up!! 2 x tickets to see Tinie Tempah at the 02 in November! 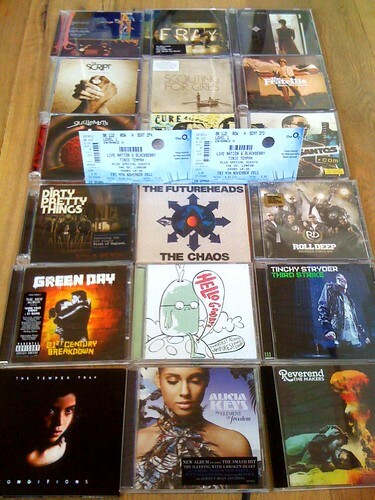 18 of the latest CD’s for any music lover’s collection! 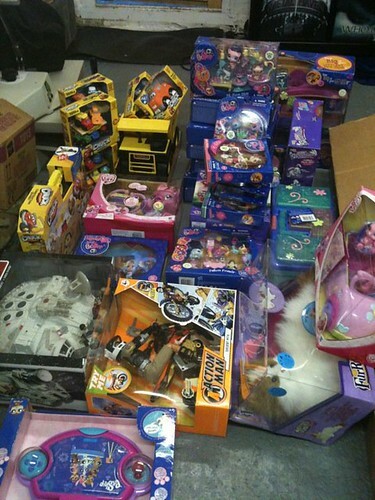 We are also pleased to show you a little taster of some of the toys we have to give away! Jessica Rose’s Sunday Funday THIS SUNDAY (24th) will feature…. ….. A TREASURE HUNT for all the family! The first back to the entrance will receive their gold me hearties BUT ALL adventurers get prizes! COME ALONG to Jessica’s Fun Day THIS SUNDAY to help us raise £10,000 for toddler Jessica Rose. She desperately needs your help for treatment for her fast-growing brain tumour. Even this week, the doctors say the tumour has grown in size and we really need to act fast. 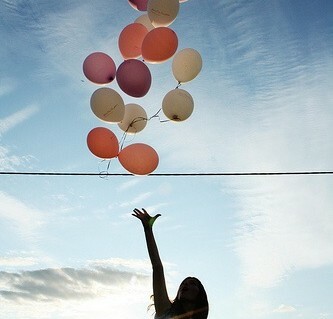 This Fun Day has everything it needs to be a HUGE success but it will be nothing without YOU! It’s going to be a lot of fun – come rain or shine so don’t miss out! Here is the latest list of prizes for raffle and auction on the day of Jessica’s Family Fun Day (July 24)! I think you’ll agree it is well worth a visit – we are so grateful to everyone who has contributed to this list – thank you so much! 2 x pots of home-made Fat Duck honey from Hedsor House! 1 x Hunk in a T-Shirt! Sam’s friend Lisa Lake and her daughter Sofia did the race for life on Saturday and raised £70.00. MOTHERS have joined together to show their support for Jessica by holding a Dressing up Day in their local park which raised a huge £600. 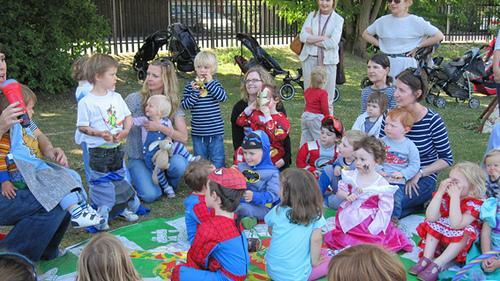 On May 18 around 50 pre-school children met with their mums in Victoria Park in Surbiton for an afternoon of fun and games to raise money to help the cause. The afternoon included singing in the park, a puppet show, a raffle, an auction, bubbles, toys, a mini-sports day, pizza, and lots of fantastic costumes. Alix assigned everyone a job, from collecting money, taking photographs, calling the auction and of course there was a lot of planning before the event. When the children were all happy and engaged with some toys and puppets and games, we took the mums to one side and hosted the auction and raffle with great prizes including Riverford veg boxes, Jo Malone pamper products and bottles of fizz. After there was a mini sports day event where every child won a prize and the day finished with pizza and fruit for tea. THANK YOU ALIX AND EVERYONE INVOLVED IN THE DRESSING UP DAY IN THE PARK! On behalf of Sam, Ben and Jessica. 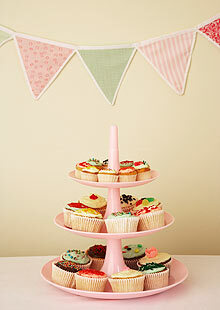 For an outdoor charity event, homemade decorations are what we want. So calling all creatives! Draw around the template on to your fabric using a pencil. Rotate the template each time you draw another triangle so you can get as many pieces on there as you can. Cut around the triangles – use pinking scissors if you can as it gives them a zigzag edge and stops the fabric from fraying. OR use felt – which doesn’t fray – or strong upholstery material. I went to a party recently where the bunting was made out of plastic bags. It was very cool. Unique. Quirky. Resourceful. Waterproof! Take a long piece of ribbon and fold it in half, lengthways, so it is just as long but half as wide. Iron the fold to secure which makes the next bit easier. Pin the fabric triangles on to the ribbon at equal distances from each other. With the triangles pinned in place, sew all the way along the ribbon, at least 1cm from the edge, making that sure when you stitch, the needle goes through the triangle and both sides of the ribbon. A sewing machine makes this easy, but if you don’t have one, hand-sew using a backstitch. 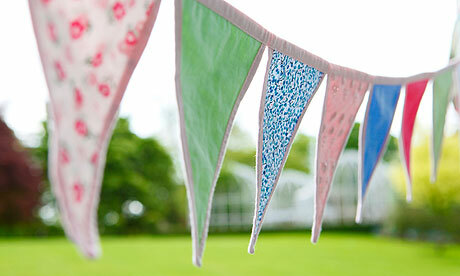 • Make double-sided bunting. The easiest way to do this is to buy double-sided fabric. If that’s too pricey or difficult to track down, use fusible webbing to stick two pieces of fabric together before step two, then cut triangles out with pinking shears. Another way – which is more time-consuming – is to cut out triangles with normal scissors, pin two together with the right sides facing, sew together along two sides 1cm from the edge, turn inside out, then iron flat, all before proceeding to step four. The Jessica Rose Foundation Golf Day has been generously suggested and organised by our friend Bob Massie from Beaconsfield. Thank you Bob! It is a open for everyone and ALL proceeds will go to the Jessica Rose Foundation. hot lunch with table service in the magnificent club dining room overlooking the course. Prize presentation, including ‘Nearest The Pin’ and ‘Longest drive’. To sign up for the Golf Day, please email: golfday@beaconsfielduk.com or you can call or text 07785 550 605. Tickets are also available at The Red Lion Knotty Green. Please make cheques payable to ‘Jessica Rose Foundation’. Price: £65 for individuals; £60pp when you book four places or more. Thank you also to Beaconsfield Golf Club for allowing the day to be held there. This is a great opportunity to play one of the country’s finest golf courses – and help Jessica so please book now!